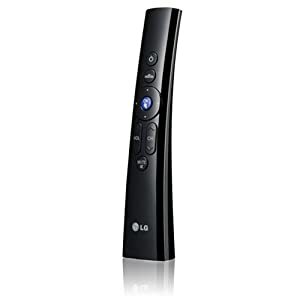 LG has come out with 2 remotes in particular that people have been wanting to get their hands on in the past few years. First of all the most exciting of which is the Magic motion remote for their Infinia line up, along with a few other models that are supported. This remote is a Wii remote type of simplistic remote that uses basic motions to control mostly everything. Thanks to the motion sensing it has very few buttons! Which is another wonderful plus for a lot of people. They also make some of the worst remotes that come with the television sets I have seen. They seem to have fixed this issue, however, so if you purchase a replacement for cheap then it will work just fine. The magic motion remote is the star in the remote control world with its highly accurate and easy to use motion technology. This makes its learning curve non existent. This isn't exactly revolutionary stuff though. This type of motion controller has been done before as most of you know with the Wii system. This means that while it may not be in a sense of function worth the extra price, it is a rather nice accessory to have none the less. On top of just getting the remote control you also get access to some games built into your television! This is wonderful for entertaining some children for a short period of time, don't expect console type of games they are simple yet still fun. This adds a little bit to the deal but nothing really ground breaking. Where this piece of hardware really shines is in the menu for the television itself. The whole user interface changes when you use this remote to a more 3-D like menus and such, it is really quite cool. But that's not all it also lets you view little boxes for all the channels and to go to a certain one there is no key pressing to move the page over or anything like that, simply sweep the controller over to the channel that looks interesting and hit a single button and you are in! I can see people with arthritis or carpel tunnel really loving it for this reason at least. Overall I would say it is up to the individual user if this is worth the current price. If you can get a TV that can support it though, you already invested quite a bit. Might as well bump it up a little bit more and make it an epic entertainment center right? 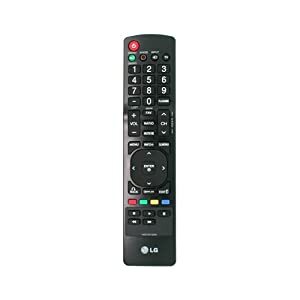 This is one of those remotes that came with a lot of the a little older LG TVs. This is reported to work on more than what they advertise it working for, to maybe it's worth a shot to try this one out if your current remote isn't functioning properly. However, maybe you should try out some other brand universal remote since you are already shopping. A little searching might reveal something better and still in your price range. Next >> Should Toddlers Use Mobile Devices? The Fitbit One Tracker: Have You Been Bitten?